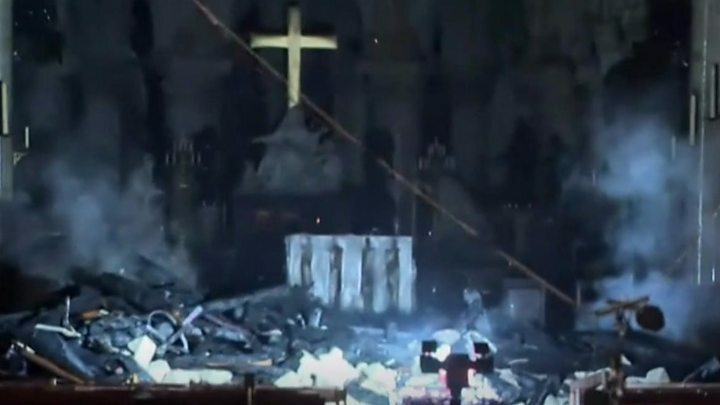 How will cathedral be restored? But Mr Philippe posed the question of “whether we should even recreate the spire as it was conceived by [French architect] Viollet-le-Duc… or if, as is often the case in the evolution of heritage, we should endow Notre-Dame with a new spire”. 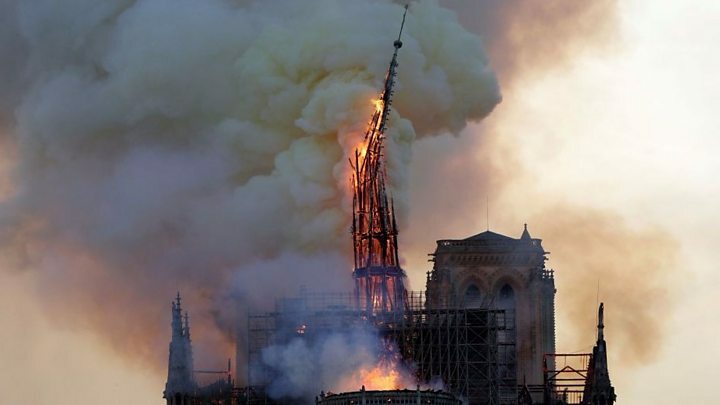 The blaze – which was discovered at 18:43 (16:43 GMT) on Monday and was not fully extinguished until almost 15 hours later – destroyed most of the cathedral’s roof and led to the collapse of its iconic spire. Experts have not yet been allowed on site to assess the damage and firefighters have used a drone to survey the scale of the destruction.